Think of moths as butterflies' poor relations. They belong to the same order (Lepidoptera) of insects but tend to be more drabbrowns and grays dominate. 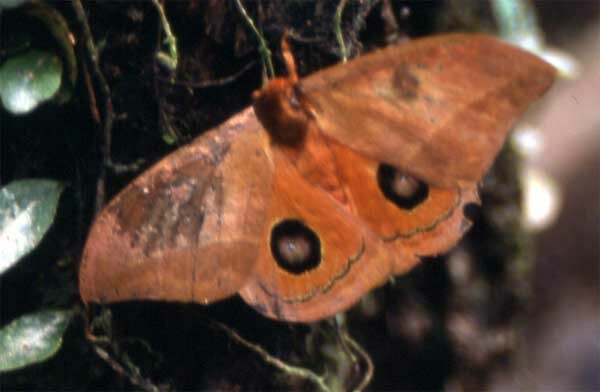 Most moths are nocturnal, but a number of Amazon species are active during the day. Moths are the entree on the menu for insectivorous bats, so providing an essential food source for them and many other animals. 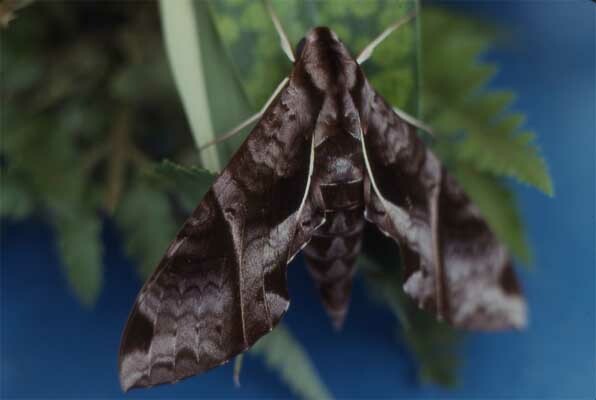 The hawkmoth, of which there are many species (family Sphingidae), is among the most spectacular moths. They are excellent fliers. They are able to hover like a hummingbird, for which they have been mistaken. This may be because like hummingbirds, they feed on the nectar of flowers with a tube-like proboscis. Moths are common, abundant insects. They're most often seen at night around lights of buildings. Many species have false eye-spots to confuse potential predators.